The boy never met his father face-to-face. In fact, the first time they ever spoke, the boy was a grown man of twenty, preparing for his departure to Vietnam. The phone call was strained, but meaningful; the father told the boy he was proud of him. He insisted they should reconnect when his service in Vietnam ended. Two years later, the boy returned home, fortunate to have his body and mind intact. Soon after, he and his father spoke over the phone. Again, the conversation was strained and challenging, though what really mattered was they were connecting. After a long, but hopeful conversation, they both said their goodbyes and hung up. The boy didn’t know it then, but it was the last direct contact he would ever have with his dad. 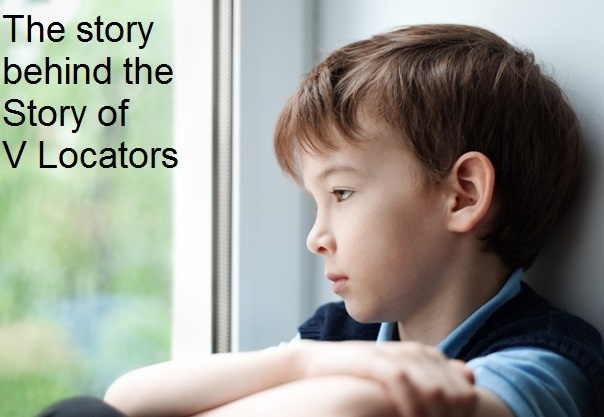 The boy’s story begins, as all too many stories of separation and loss begin, with divorce. The boy was still a baby when his mother determined she wanted nothing to do with the man she had created three children with. Rolling out of Louisiana on a fast train, they didn’t stop until they’d gone as far west as they could possibly go: California. The boy’s very first memories are of living in a foster home. He thinks he was about three. The tree, the yard, the house… foggy, distant memories, but nonetheless real. At six, the boy remembers the day when a large, ‘woody’ station wagon pulled up in front of the foster home. In the car was his mother, coming to retrieve him. He can still picture how the station wagon looked, but he can’t summon up the picture his mother. This odd moment of selective memory haunts the boy to this day. By the time he was eight, he was skipping school on a regular basis. This truancy was being encouraged by this by his mother, who wanted him to help her deliver eggs to various homes around town. It wasn’t a serious or steady gig. It never was; his mother slipped into new roles almost as often as she changed clothes—even if this meant moving the kids from place to place every other month or so. But all that moving took a toll; school records show that during the calendar year that bridged the 4th and 5th grades, the boy attended six different institutions. As a child, of course, he didn’t know how unusual his life of constant motion was. Neither did he know the reason behind all the moves: namely, that his mother was writing bad checks, or running away altogether when the rent and utility bills came due. In the long run, his mother’s ways of avoiding reality caught up with her. One day, the boy’s older sister flatly told him, “Mom’s got to go away for a while.” And so, it was off to a second foster home, where things briefly took a bright turn. His new foster-mother, Alice, was a warm and kindly, gray-haired woman in her late fifties. Among her many pleasant attributes, Alice was organized and disciplined. “Homework, first! Change of clothes, second. Then, out to play…” was the unofficial motto in Alice’s home. It’s no surprise, then, that under her caring tutelage, the boy’s grades shot up from Ds and Fs to As and Bs. He even got his very first bicycle while living with Alice; an unexpected gift presented on the advent of his eleventh birthday. That summer, the boy’s older sister arranged for him to go to a church summer camp for six, whole, spectacular weeks. It was the first time in his life he’d ever experienced the sort of all-in, 24-7, 360-degree, total-immersion feeling that a quality summer camp can provide, and the boy loved every minute of it! Sadly, these memories came to be tainted by what was about to happen next. For reasons beyond his control, the boy did not return home to the devoted and loving support of Alice, but to yet another foster family, where eight other biological and foster children battled the boy, daily, for a thin share of parental attention. It was a battle he was unprepared for, however, as he was not a fighter in that sense. By the time the boy entered high school, he had learned to suppress these damaging and hurtful thoughts. After all, he reasoned, he still had himself to rely on and make his life as good as it could be. Virtually all his energy was now thrown into his schoolwork, and he earned excellent grades. And when he wasn’t in school or studying, he was working hard in his part-time job at Holtzman Family Shoes. The owner of the shoe store, Mr. Holtzman, was a good and generous man who appreciated the boy’s strong work ethic. Indeed, the entire Holtzman family looked after him, as if aware that his needs went beyond the boundaries of mere employment. Meanwhile, there was more to the boy’s high school experience than what he was achieving in the classroom; he developed true and lasting friendships with many of his classmates. In fact, these friendships were so meaningful to him that when—midway through his senior year—he was awarded the opportunity to graduate early (due to his accelerated academics), he chose to stay on and graduate with his friends. Once in college, the boy’s social life blossomed and thrived when girls and beer were added to the friendship mix. However, too much of a good thing tends to come with a price, and the boy’s indulgences were no exception; his grades took a distinct nose-dive. Under ordinary circumstances, a GPA dipping below 2.1 would hardly be cause for panic, but this was 1965, and the war in Vietnam was in full fury. And, since Uncle Sam’s favorable treatment of collegiate males evaporated when grades entered the sub-2.1 territory, the boy was only too aware that his ‘number’ would soon be up. It was this moment when he felt the void of his father most of all. Facing a serious, life-altering decision, there was no one to offer thoughtful advice or sage wisdom. His mother was dead. His sisters were preoccupied with their own lives. And his father… his father was nothing more than a shadowy, psychological projection. The boy soon decided he had no choice but to take matters into his own hands: he volunteered to join the Screaming Eagles, a regiment more commonly known as the 101st Airborne Division of the United States Army. This tactical decision felt right on a couple of fronts: it eliminated the random uncertainty of the draft and it payed an extra $25 per month, which was most important because it meant the boy could continue to make payments on his beloved, 1958 Ford Thunderbird! Eight weeks of Basic Training was immediately followed by four weeks of Advanced Individual Training and six weeks of Jump School. When the instruction was completed, he was offered the customary chance to say his good-byes before shipping off. For him, that meant visiting his two sisters in California. It was during this brief stay in his older sister’s apartment that he got the shock of his life: his younger sister casually happened upon some old paperwork that referenced their father’s Social Security number. In no time, she managed not only to locate their father, but arranged a phone call with him as well. The prospect of finally connecting with the dad the boy had never known left him nervous and numb. But he got his chance to speak, he calmly managed to tell his dad everything he could about the 101st Airborne Combat Unit, not to mention all that was on the horizon for him overseas. It wasn’t a particularly long conversation, but what stood out like a bright, shining star was when the boy’s father told him that he was proud of him. This was the first time anyone had uttered such words to him, and the boy would never forget it. Before saying good-bye, his father asked him to call again when he returned safely home. The boy was one of the lucky few who did return safely home. Further, he managed to compartmentalize and cordon off much of the war’s emotional baggage. As for his emotional baggage, that was forever embedded in him from his youth, so even if the conflict in Vietnam left him relatively unscathed, the conflicts of his upbringing still churned. After a brief respite, the boy reached out to his father just as they had agreed. His second-ever conversation with his dad left him feeling unguardedly optimistic and happy. The prospect of a new beginning for them seemed more than just possible, it seemed real—just as their father and son connection seemed real. But a few short months later—when the boy called his father’s number only to learn it was no longer in service—he began to realize the new beginning was more likely a blunt endpoint. A ladder to nowhere. A dead end. Apparently, his father was not ready to deal with a genuine relationship with his son. Not then. Not ever. With no one to share his disappointment with, the boy shouldered on. With help from the G.I. Bill, he was able to return to college. And now, with the clear-eyed discipline of a veteran soldier, he made the most of his academic opportunities. Cruising through his first semester with an impressive grade point average of 3.85, he was back in the mindset of self-reliance. He was the only person responsible for his life; no one else. Despite such independent thinking, when his older sister phoned to inform him their mother was dying, he dropped everything to go see her for the last time. Upon entering the hospital room, however, the boy was greeted not by his mother, but by her haunted, empty shell. She neither knew who he was nor that he was even there by her side. She died soon after. By this stage of his life, the boy had come to expect nothing but confusion and uncertainty from his mother. But she was his mother, and he would miss her all the same. Life with his darling bride was joyful and fruitful. In what felt like no time, they had two, healthy, rambunctious sons to chase after. Despite never having had a father, or even a father-figure in his life, the boy seemed prepared for his role. Somehow, as a dad, he instinctively knew what to do. Though he was never perfect, he was certainly always loving and supportive. As his three children slowly grew into young adults, the boy marveled at how wonderful, engaging, and capable they were. He also marveled at the solid relationship he had with each. Though he knew his wife deserved all the credit for this, the truth remained that despite long odds he’d managed to become more than a competent parent. On the career front, he appeared more than competent, as well. His inquisitive nature, along with an unusually strong aptitude for computers, spelled a bright future. Various jobs in basic sales and marketing management roles soon translated into a position as the Senior Manager of Internet Marketing at a prestigious company. During this time, he created an entirely new method of Internet marketing that delivered highly-targeted, demographic results. ‘The Method,’ as he came to call it, refashioned the typical approach to internet searches by using analytics to diagnose emotions and behavior. Technicalities aside, The Method worked very well for his clients, who were downright thrilled with the results. One day, on the heels of his successes, the boy began pondering his past. Sitting alone in his office, he couldn’t help but lament how he and his father had never been involved in each other’s lives. Suddenly, he was hit hard by a wave of “whys?” and “what ifs?” and “why nots?”. After the questions subsided, he was struck by an incredibly powerful idea: What if The Method could be used to search for his father? And perhaps just as significantly, what if The Method could be used to help others find the loved ones missing from their lives? As it turned out, the boy had four half-brothers, not just one! That summer, he traveled to New Orleans and met them all in person (and then some, too). The time he spent together with the ‘other half’ of his life was amazing; they sat around sharing and inquiring and probing until they were all too tired to do anything but laugh. In the end, there were more questions raised than answers given, but that did nothing to quell the excitement that was stirred up by this wild and unusual family reunion. But now, the boy was deeply inspired. Knowing it was The Method’s unique approach to analytics that had helped him reunite with his family, he worked tirelessly to enhance and formalize its features. The result was V Locators, a one-of-a-kind enterprise predicated on the altruistic goal of helping other people find their missing and wanted loved-ones. V Locators’ cutting-edge diagnostics found Terrence working in a factory in St. Louis. Not long after that, mother and son were reunited. Since that happy day, the two have become a family again—celebrating holidays and special occasions together, just as any other family would. While finding Terrence may have been V Locators’ first success, it was hardly the last. To date, the company has helped a number of distressed parents, children, grandparents, and spouses locate the individual(s) missing from their lives. Each day results in more inquiries, more web-traffic, and higher success-rates than the day before, and today the company is making its break toward become a national success. The boy never met his father face-to-face. In fact, the first time they ever spoke, the boy was a grown man of twenty, preparing for his departure to Vietnam. The phone call was strained, but meaningful; the father told the boy he was proud of him. He insisted the boy contact him when his service in Vietnam ended. Two years later, the boy returned home, fortunate to have his body and mind intact. Soon after, the boy and his father spoke over the phone. Again, the conversation was strained and challenging, though what really mattered was they were connecting. After a long, but pleasant conversation, they both said their goodbyes and hung up. The boy didn’t know it then, but that was to be the last direct contact he would ever have with his dad. The boy’s story begins, as all too many stories of separation and loss begin, with divorce. The boy was still a baby when his mother determined she wanted nothing to do with the man whom she’d created three children with. Rolling out of Louisiana on a fast train, they didn’t stop until they’d gone as far west as they could possibly go: California. By the time he was eight, he was skipping school on a regular basis. He was being encouraged to do this by his mother, who wanted him to help her deliver eggs to various homes around town. It wasn’t a serious or steady gig. It never was; his mother slipped into new roles almost as often as she changed clothes—even if this meant moving the kids from place to place every other month or so. But all that moving took a toll; school records show that during the calendar year that bridged the 4th and 5th grades, the boy attended six different institutions. As a child, of course, he didn’t know how unusual his life of constant motion was. Neither did he know the reason behind all the moves: namely, his mother writing bad checks, or fleeing altogether when her rent and utility bills came due. Eventually, his mother’s ways of avoiding reality caught up with her. One day, the boy’s older sister abruptly told him, “Mom’s got to go away for a while.” And so, it was off to a second foster home, where things briefly took a bright turn. His new foster-mother, Alice, was a warm and kindly, gray-haired woman in her late fifties. Among her many pleasant attributes, Alice was organized and disciplined. “Homework, first! Change of clothes, second. Then, out to play…” was the unofficial motto in Alice’s home. It’s no surprise, then, that under her caring tutelage, the boy’s grades shot up from Ds and Fs to As and Bs. The boy even got his very first bicycle while living with Alice; an unexpected gift presented on the advent of his eleventh birthday. That summer, the boy’s older sister arranged for him to go to a church summer camp for six, whole, spectacular weeks! It was the first time in his life he’d ever experienced the sort of all-in, 24-7, 360-degree, total-immersion feeling that a quality summer camp can provide, and the boy loved every minute of it! Sadly, these memories came to be tainted by what was about to happen next. For reasons beyond his control, the boy did not return home to the devoted and loving support of Alice, but to yet another foster family, where eight other biological and foster children battled the boy, daily, for a share of parental attention. It was a battle the boy was unprepared for, however, as he was not a fighter in that sense. By the time the boy entered high school, he had learned to suppress these damaging and hurtful thoughts. After all, he reasoned, he still had himself to rely on and make his life as good as it could be. Virtually all his energy was now thrown into his schoolwork, and he earned excellent grades. And when he wasn’t in school or studying, he was working hard in his part-time job at Holtzman Family Shoes. The owner of the shoe store, Stanley Holtzman, was a good and generous man who appreciated the boy’s strong work ethic. Indeed, the entire Holtzman family looked after him, as if aware that his needs went beyond the boundaries of mere employment. Meanwhile, there was more to the boy’s high school experience than what he was achieving in the classroom; he developed many true and lasting friendships with his classmates. In fact, these friendships were so meaningful to him that when—midway through his senior year—he was awarded the opportunity to graduate early (due to his accelerated academics), he chose to stay on and graduate with his friends. Once in college, the boy’s social life blossomed and thrived when girls and beer were added to the friendship mix. However, too much of a good thing usually comes with a price to pay, and the boy’s indulgences were no exception; his grades took a distinct nose-dive. Under ordinary circumstances, a GPA dipping below 2.1 would hardly be cause for panic, but this was 1965, and the war in Vietnam was in full fury. And, since Uncle Sam’s favorable treatment of collegiate males evaporated when grades entered the sub-2.1 territory, the boy was only too aware that his ‘number’ would soon be up. It was at this moment he felt the void of his father most of all. Facing a serious, life-altering decision, there was no one in his life to offer thoughtful advice or sage wisdom. His sisters were seemingly preoccupied with their own lives. And his father… his father was nothing more than a shadowy, psychological projection. The boy soon decided he had no choice but to take matters into his own hands: he volunteered to join the Screaming Eagles, a regiment more commonly known as the 101st Airborne Division of the United States Army. This purely tactical decision felt right on a couple of fronts: it eliminated the random uncertainty of the draft and it payed an extra $25 per month, which was most important because it meant the boy could continue to make payments on his beloved, 1958 Ford Thunderbird! Eight weeks of Basic Training was immediately followed by four weeks of Advanced Individual Training and six weeks of Jump School. When the boy’s training was completed, he was offered the customary chance to say his familial good-byes before shipping off. For him, that meant visiting his two sisters in California. It was during this brief stay in his older sister’s apartment that he got the shock of his life: his younger sister casually happened upon some old paperwork that referenced their father’s Social Security number. In no time, she managed not only to locate their father, but arranged a phone call with him as well. The prospect of finally connecting with the dad the boy had never known left him nervous and numb. When he got his chance to speak, however, he was able to calmly tell his dad everything he could about the 101st Airborne Combat Unit, not to mention all that was on the horizon for him overseas. It wasn’t a particularly long conversation, but what stood out like a bright, shining star was when the boy’s father told him that he was proud of him. This was the first time anyone had uttered such words to him, and the boy would never forget it. Before saying good-bye, his father asked him to call again when he returned safely home. After a brief respite, the boy reached out to his father just as they had agreed. His second-ever conversation with his dad left him feeling unguardedly optimistic and happy. The prospect of a new beginning for them seemed more than just possible, it seemed real—just as their father and son connection seemed real. But a few, short months later—when the boy called his father’s number—only to learn it was no longer in service—he began to suspect the new beginning was more likely a blunt endpoint. A ladder to nowhere. A dead end. Apparently, his father was not ready to deal with a genuine relationship with his son. Not then. Not ever. With no one to share his disappointment with, the boy soldiered on. With help from the G.I. Bill, he was able to return to college. And now, with the clear-eyed discipline of a veteran soldier, he made the most of his academic opportunities. Cruising through his first semester with an impressive grade point average of 3.85, he was fully back in the mindset of self-reliance. He was the only person responsible for his life; no one else. Despite such independent thinking, when his older sister phoned to inform him their mother was dying, he dropped everything to go see her for the last time. Upon entering the hospital room, however, the boy was greeted not by his mother, but by her haunted, empty shell. She neither knew who he was nor that he was there by her side. She died soon after. By this stage of his life, the boy had come to expect nothing but confusion and uncertainty from his mother. But she was his mother, and he would miss her all the same. Life with his darling bride was joyful and fruitful. In what felt like no time, they had two, healthy, rambunctious sons to chase after. Despite never having had a father, or even a father-figure in his life, the boy seemed prepared for his role. Somehow, as a dad, he instinctively knew what to do. Though he was never perfect, he was certainly always loving and supportive. As his three children slowly grew into young adults, the boy marveled at how wonderful, engaging, and capable they were. He also marveled at the solid relationship he had with each. Though he knew his wife deserved all the credit for this, the truth remained that—despite long odds—he’d managed to become more than a competent parent. On the career front, he appeared more than competent, as well. His inquisitive nature, along with an unusually strong aptitude for computers, spelled a bright future. Various jobs in basic sales and marketing management roles soon translated into a position as the Senior Manager of Internet Marketing at a prestigious company. During this time, he created an entirely new method of Internet marketing that delivered highly-targeted, demographic results. ‘The Method,’ as he came to call it, refashioned the typical approach to internet searches by using analytics to diagnose emotions and behavior. Technicalities aside, The Method worked very well for his clients, who were only too thrilled with the results. One day, on the heels of his success, the boy began pondering his past. Sitting alone in his office, he couldn’t help but lament how he and his father had never been involved in each other’s lives. Suddenly, he was hit hard by a wave of “whys?” and “what ifs?” and “why nots?”. After the questions subsided, he was struck by an incredibly powerful idea: What if The Method could be used to search for his father? And perhaps just as significantly, what if The Method could be used to help others find the loved ones missing from their lives? As it turned out, the boy had four half-brothers, not just one! That summer, he traveled to New Orleans and met them all in person. The time he spent together with the ‘other half’ of his life was amazing; they sat around sharing and inquiring and probing until they were all too tired to do anything but laugh. In the end, there were more questions raised than answers given, but that did nothing to quell the excitement that was stirred up by this wild and unusual family reunion. But now, the boy was truly inspired. Knowing it was The Method’s unique approach to analytics that had helped him reunite with his family, he worked tirelessly to enhance and formalize its features. The result was V Locators, a one-of-a-kind enterprise predicated on the altruistic goal of helping other people find their missing and wanted loved-ones. While finding Terrence may have been V Locators’ first success, it was hardly the last. To date, the company has helped a number of distressed parents, children, grandparents, and spouses locate the individual(s) missing from their lives. Each day results in more inquiries, more web-traffic, and higher success-rates than the day before. In fact, evidence provided by impartial, ongoing, daily analytics* shows that V Locators is poised to own 30% of the market share in year one, and an 80% share by year three. Simply put, the company is making its break toward become a national success. Where are the missing loved ones and why? We have one simple obligation and that is to help those that serve, protect we that makes it an obligation. Aliayah Lunsford was last seen at her home in Weston, West Virginia, during the early morning hours of September 24, 2011. We’re looking for her, we’re helping her parents, we’re making a difference. Please share this to spread the word, you can make a difference too! When a mother is reunited with her son after weeks, months or years of no contact … well, that mother will obviously have a million reasons to smile! She will probably cry tears of joy and find it hard to believe her eyes. It never matters what caused the separation. It never matters how old the child is. All that matters is that your child, your son, is gone. And, as a mother, you feel like you have lost everything. And then, after the days turned into years, your son is back … and you feel like you have a reason to live again. All the sleepless nights, all the grief and sadness … are instantly forgotten and forgiven, and you experience an incredible feeling of joy and elation. You want to touch him, hug him, and hold him close – and you never want to let him go again. Today, this is how Mrs. Suiter feels … because today she found her son Tommy. The Results: From: B Suiter [mailto:stazer@gmail.com] Sent: Tuesday, Oct 26, 2015, 6:32 PM – Mr. Burns, This is B Suiter and the most amazing thing has happened, I heard from our son! Today out of the blue he called; he is in a hospital but is ok so we are overwhelmed with emotion and joy. I just wanted to let you know so that you could update your website or remove him whichever you do. Thank you so much for the service you provide at Video Locators to families in need, the Lord will surely bless you for your concerns and care. I am remaining a friend on FB as I see your post and repost some when I can. Thanks again! B Suiter From: B Suiter [mailto:staezer@gmail.com] Sent: Monday, Nov 1, 2013 6:04 PM To: Mr. Burns Subject: Re: Tommy Suiter HOW – He heard about your website and someone told him he saw his picture somewhere, so he called the old place where he had stayed at before and they told him yes we had posted it and here is our number! It is so amazing; he calls now every day and his life in good condition again. Thanks so much Mr. Burns!